The legal team at Joe Horrox Law has helped countless clients in and around the greater Port Orange area with serious litigation of all kinds, which includes lawsuits for truck accidents that result in serious injury or death. These accidents may be the result of many different factors, which is why we'd like to consider some of the most common causes of truck accidents right now. Jackknife truck accidents are among the most deadly kinds of accidents. These kinds of incidents occur when the trailer that is being carried by a truck folds inward and outward. If you picture the movement of a pocket knife, this helps you understand the motion. The likelihood of serious multi-car collisions is high when these sorts of accidents occur. Common causes include poor braking, mechanical failure of the vehicle, or bad road/weather conditions. Many truck drivers are forced to pull long hours and drive while tired or sleepy. Because of this, they may not be fully rested on the road. This can result in major issues with reflexes, reaction times, and decision making. In some cases, truck drivers can fall asleep behind the wheel. One of the high-profile examples of this type of accident is the collision last year that seriously injured actor/comedian Tracy Morgan and killed his friend and fellow comedian James McNair. The driver of the truck that struck their vehicle had not slept for 24 hours prior to the tragic accident. Rubbernecking, texting while driving, cellphone use, and other kinds of distractions can lead to serious commuter accidents, so it should come as no surprise that it can also lead to major truck accidents. This is why all drivers need to keep their full attention on the road at all times. Commercial trucks have to make long drives back and forth, meaning that various vehicle parts and components are subject to serious wear and tear. 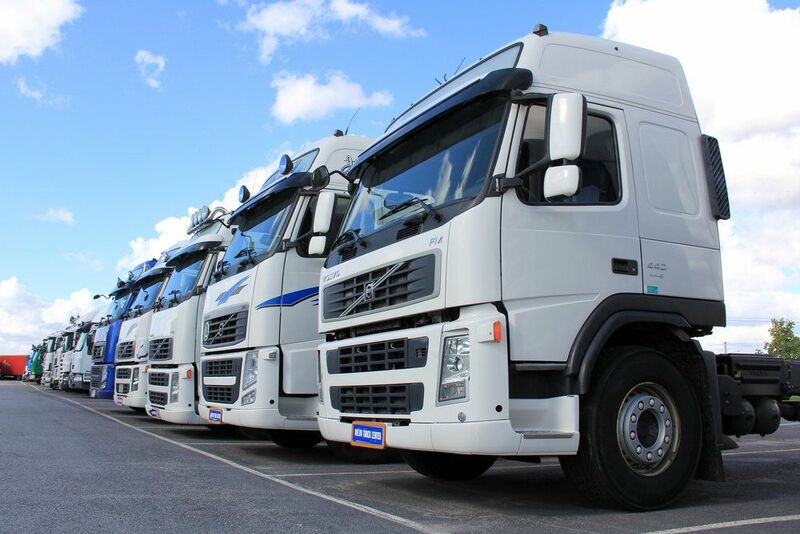 Regular vehicle maintenance needs to be considered in order to ensure that the entire fleet of a company's trucks are in proper working order and do not pose dangers to others on the road. No matter what a commercial truck is hauling, poorly loaded cargo can increase the risk of major accidents and dangers. Large items, small items, and even liquids that fall from a truck to the road can lead to major hazards for all motorists. When the road is worn down, poorly maintained, and filled with debris, all motorists face potential harm. That's why it's so important for roads to be maintained regularly. Poor weather can be just as hazardous as bad roads, making conditions less than ideal for safe travel. In fact, combinations of poor road and weather conditions can be extremely dangerous. If you would like to learn more about your legal options following a serious truck accident, be sure to contact our personal injury law firm today. The legal team here at Joe Horrox Law looks forward to your visit and helping you in your time of legal need.